From north to south you’ll find dedicated bonefishing lodges (best suited for fishermen only). Professional guides are also available to book charters out of nearly every other beach resort and hotel. In The Abacos, fishermen and their guides fan out over the “marls” on Great Abacos’ west side and Cherokee Sound on its east as well as the western, lee sides of the outer cays like Green Turtle. 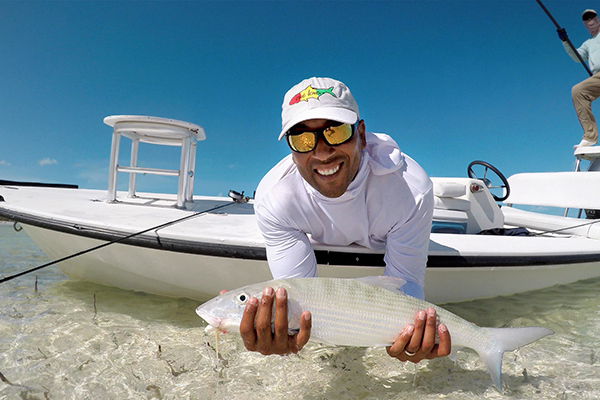 Huge Andros, split and splintered by watery bights and cuts, has incredibly varied bonefishing. The best spots around North Andros include the Joulter Cays, while in South Andros, guides head to Deep Creek and Little Creek as well as the legendary west side and southern tip of the island where many of the prime fishing grounds have barely been explored. 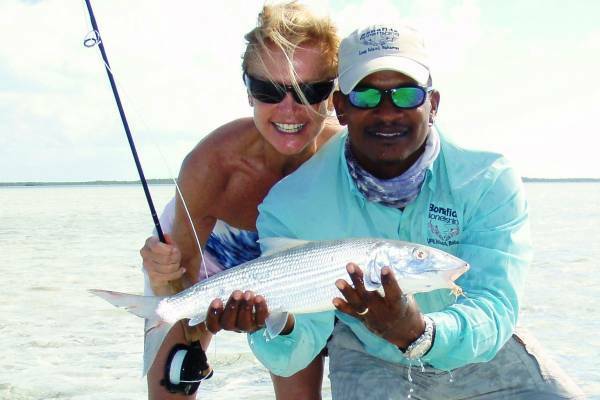 The flats that join the two Bimini together are an ideal bonefish haunt, as are both the northern and southern ends of Cat Island – which offer both tidal creek flats and ocean-side flats – and the flats and creeks at the north end of Eleuthera. Long Island has some of the best wading flats anywhere, many within a 5- or 10-minute ride from the island’s main resorts, Stella Maris and Cape Santa Maria, and vast areas around Deadman’s Cay and Sandy Cays. Crooked and Acklins islands together embrace enormous areas of virgin flat, and like areas around all The Out Islands, are ready to be discovered by adventurous fishermen armed with excellent local guides.